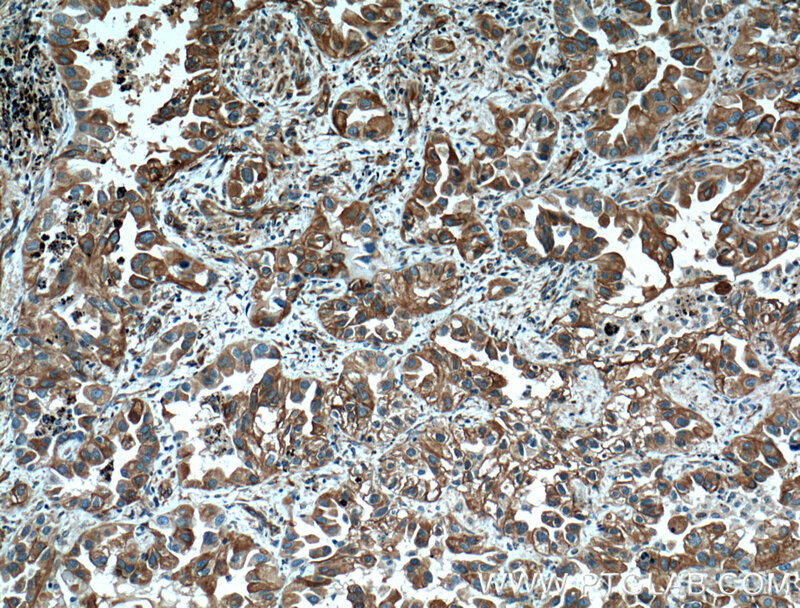 Immunohistochemistry of paraffin-embedded human lung cancer tissue slide using 66362-1-Ig( Tubulin beta class V Antibody) at dilution of 1:200 (under 10x lens). heat mediated antigen retrieved with Tris-EDTA buffer(pH9). 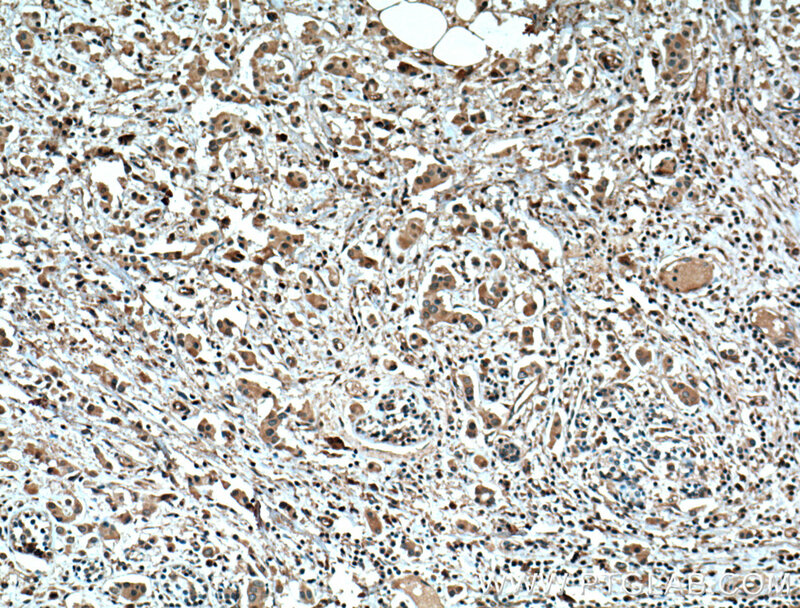 Immunohistochemistry of paraffin-embedded human lung cancer tissue slide using 66362-1-Ig( Tubulin beta class V Antibody) at dilution of 1:200 (under 40x lens). heat mediated antigen retrieved with Tris-EDTA buffer(pH9). Tubulin beta class V, encoded by TUBB6, is an isotype of beta tubulin, the major component of microtubule. It is widely expressed in many tissues. 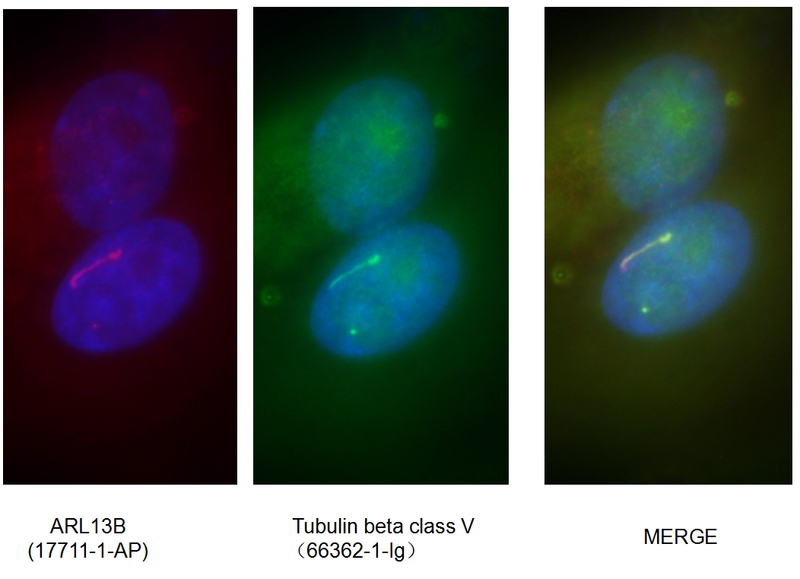 In normal tissues, tubulin beta class V is focally expressed in ciliary structure, while in cancer tissues it exhibited a diffuse staining pattern. The alterations of its expression in tumors suggest tubulin beta class V may be used as a biomarker for some solid tumors. 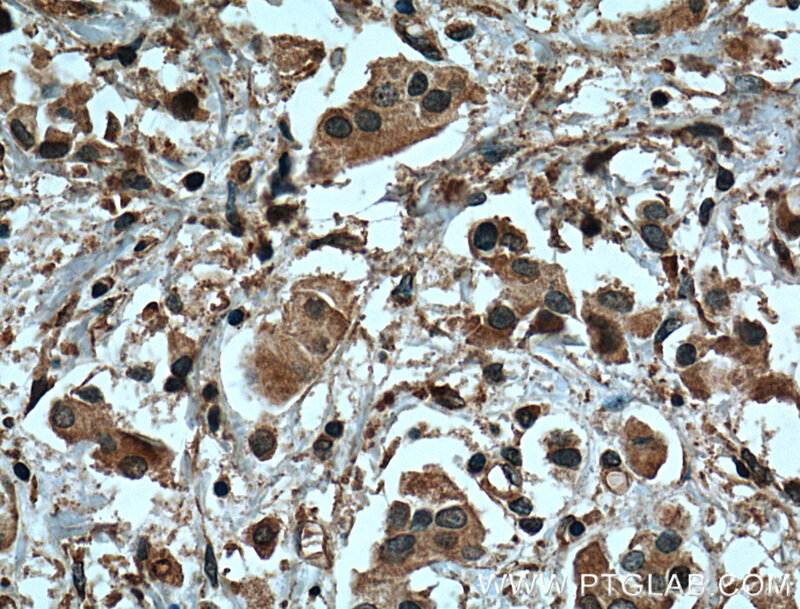 Immunohistochemistry of paraffin-embedded human breast cancer tissue slide using 66362-1-Ig( Tubulin beta class V Antibody) at dilution of 1:200 (under 10x lens). heat mediated antigen retrieved with Tris-EDTA buffer(pH9). 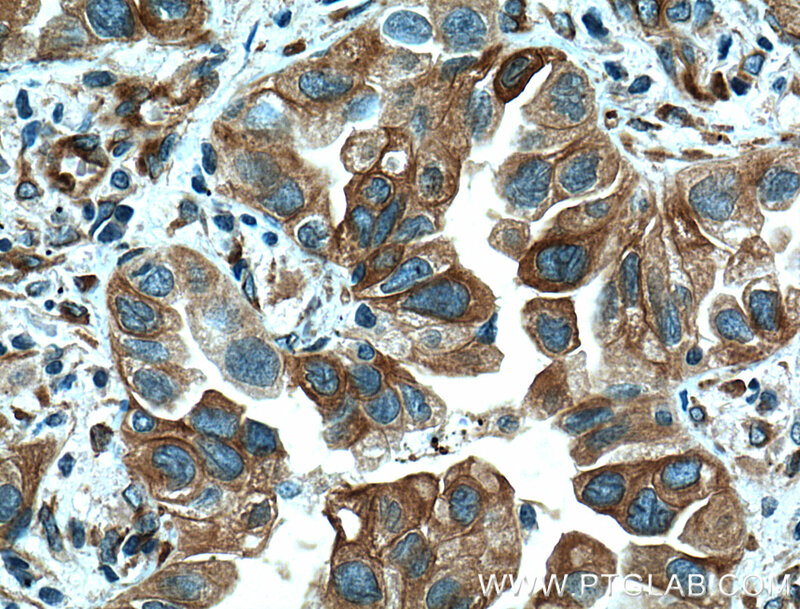 Immunohistochemistry of paraffin-embedded human breast cancer tissue slide using 66362-1-Ig( Tubulin beta class V Antibody) at dilution of 1:200 (under 40x lens). heat mediated antigen retrieved with Tris-EDTA buffer(pH9).